The case of Rivers State is summed up in this Biblical Verse: Psalm 23:5 :”You prepare a table before me in the presence of my enemies: you anoint my head with oil; my cup runs over”. The 2017 Budget performed creditably at 74 percent. Governor Wike used the budget which has a capital to recurrent ratio of 70-30 in favour of capital projects to drive the New Rivers Development Blueprint to fruition. It was on the strength of the 2017 budget that Governor Wike emerged Nigeria’s best performing governor. It was on this premise that he rolled out quality projects that transformed the State. Projects like Port Harcourt Pleasure Park, countless roads, Second Nkpogu Bridge, Federal High Court Complex, State Ecumenical Centre, Restored Bridge House, Gunboats for security agencies, Government House Chapel of Everlasting Grace among others came on stream. The implementation of the 2017 served the state in the hosting of the Golden Jubilee and several other projects that distinguished Rivers State in the comity of states. Governor Wike exemplified wisdom and courage in the administration of state resources to the advantage of Rivers people. The N470 billion budget for 2017 recorded about 74 per cent performance, which was a significant improvement over that of 2016. The 2018 budget will not be different. While other states focus on politicking in 2018, Governor Wike is charting the course of enhanced development, growth in diverse sectors and putting food on the tables of more families. That is what 2018 would encompass for Rivers people. No Local Government will be left behind. Iconic ongoing projects will be completed and new projects started. In 2018, the governor, using Rivers resources, with the support of the Rivers State House of Assembly will consolidate on developmental efforts of 2017. This means that no project will be abandoned. This is not the APC era. Key projects will be completed and commissioned in line with the 2018 Budget Proposals. Governor Wike arranged the 2018 Budget of Rivers State to achieve four major goals. To begin with, Governor Wike plans to grow and expand the economy to attract investments and create jobs for Rivers people. This is the core of this year’s budget proposal. The second goal is to strengthen and advance educational opportunities for our children and deliver quality healthcare to all residents. This is exemplified by the roll out of General Hospitals, rehabilitation and reconstruction of schools and employment of professionals to strengthen these key sectors. Third, to improve the safety, security and general well-being of all Rivers people, including residents and visitors. The fourth goal being to ensure the completion of all on-going projects that have reached advanced stages of completion. The 2018 Rivers State Budget has N379, 997, 687, 404.00 as capital expenditure, while N132 billion will be used for recurrent expenditure. All over the country, Governor Wike is known as Mr Project. This is the product of sustained delivery of developmental projects across the state. As at the end of 2017, the Rivers State Government has completed over 380 kilometers of roads, while work on other roads measuring approximately 350 kilometers is on-going throughout the State. Key infrastructural projects will be completed in 2018, while more projects will be unveiled in 2018. The projects include: Dualisation of Sapkenwa – Bori road; Dualisation of Slaughter – Trans Amadi – Garrison road; Dualisation of Elelenwo – Akpajo road; Dualisation of Oil mill – Woji – Elelenwo – Akpajo road Dualisation of Professor Tam David West (Obiriikwerre – Airport) road; The Andoni – Opobo (Unity) road; and Internal road network in Abonnema in Akuku Toru Local Government Area, Amadi-Ama in Port Harcourt Local Government Area, Okochiri in Okrika Local Government Area, Elele and Isiokpo in Ikwerre Local Government Area, among others. Other key projects also earmarked for delivery in 2018: Bonny – Bile Waterside jetty; Mile one market, phase 2; Reclamation works in Abalama in Asari Toru Local Government Area, Ogu town in Ogu/Bolo Local Government Area, Bakana in DegemaLocal Government Area, and Ogbumnabali in Port Harcourt Local Government Area; Constituency projects; Real Madrid Football Academy; Luxury living quarters for Judicial Officers from the State, among other projects; and the cinema and restaurant project in the Pleasure Park among other projects. In 2017, the Wike administration revived the state’s educational sector across the state. Over 180 basic and senior secondary schools were reconstructed, while tertiary institutions have been revived through the construction of faculty buildings and investments in research programmes. In 2018, more educational facilities will be developed with quality investments in the sector. In education, Governor Wike said: “We are devoting N50 billion to fund the education sector for the 2018 fiscal year. This sum is N20 billion more than that of 2017. In addition, we have proposed a capital grant of N500 million to each of our tertiary institutions to bolster infrastructural development and improve quality. The health sector in Rivers State was in a mess when Governor Wike took over the reins of leadership. Through dedicated budgeting and implementation, Governor Wike has revived the sector. The administration financed the reconstruction of 13 General Hospitals across the state, with the Mother and Child Hospital nearing completion. The re-positioning of the Braithwaite Memorial Specialist Hospital and the completion of the Doctors Quarters were major projects in the works in 2017. The administration will consolidate on the gains made in this sector in 2018. Governor Wike stated that his administration is providing the sum of N30 billion in 2018 to enhance all aspects of the healthcare delivery system in the State, including the provision of health infrastructure for health institutions, recruitment and training of medical doctors and other healthcare personnel, refurbishing and equipping our primary healthcare centres, providing vaccines for routine immunisation against child killer diseases, as well as in carrying out education and sensitization programmes on reproductive, maternal, neonatal and child healthcare. This is one area that the Rivers State Government made quality investments in 2017. 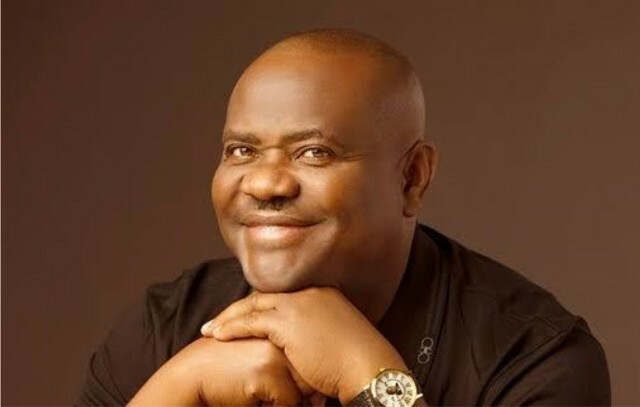 Apart from a few security infractions engineered by APC leaders, Rivers State has been largely peaceful. On Security, Governor Wike said that the State Government would continue to invest heavily in the security of lives and property through the funding of security agencies and provision of logistics for them to effectively secure the state. He said: “We have also approved the establishment of the Rivers State Neighbourhood Safety Corps to further enhance the security in the State. When fully established and operational, the corps will have the responsibility to collaborate with the security agencies to combat crime and cultism in our communities and neighbourhoods. Empowerment forms a major plank of the 2018 Budget. Governor Wike plans to use the 2018 to directly reward Rivers youths for their support and love. The governor will also use the 2018 Budget to empower women in the State. This budget is a direct reach-out to majority of Rivers people, especially the less privileged. In order to tackle high level of youth unemployment and poverty, the governor said that empowerment would be prioritised in 2018. As part of the administration’s empowerment scheme, the Rivers State Government will use the 2018 Budget to encourage youths to embrace technical and vocational education to acquire the skills they need to help themselves economically. The State Government will in the course of the year introduce a programme that will require all companies handling major government projects to engage a certain number of unemployed youths on every project site to enable them to get hands-on training and experience to become qualified artisans to support the delivery of numerous infrastructure projects while earning income during the construction period. Governor Wike proposed N6 billion for employment generation, N7 billion for women development and N2 billion to support youth development. He added that the state government would inject N1 billion into the State’s Microfinance Agency to provide loans and support the development of small-scale enterprises in the State. Sports Development will serve as another platform of empowerment for youths in the State. One of the major projects in this sector will be the establishment of the Real Madrid Football Academy. The administration has invested in the upliftment of infrastructure in the Justice sector . A Federal High Court Complex is on stream in the state, National Industrial Court is under construction, while Court of Appeal has been rehabilitated. The construction of Judges Quarters amongst other key projects are ongoing. The governor said that investments in the administration of justice and the justice sector will be sustained. He said that N4.350billion has been allocated to the law and justice sector. Port Harcourt Pleasure Park is Nigeria’s leading tourism centre. The administration plans to improve the tourism sector to further boost the economy of the state. The administration plans to revive the annual cultural festival as well as hosting national and international cultural events. According to the Rivers State Governor, the State Government shall also endeavour to complete the abandoned State’s centre for arts and culture in Port Harcourt to enhance the development of arts, entertainment and culture in the State. It is no longer news that Rivers State is a Christian State. Over the last 30 months, Governor Wike has taken steps to build on Christian unity in the State. The State Ecumenical Centre is one of the outcomes of this partnership. This partnership will be renewed. To this effect, the governor proposed N1 billion to establish a Trust Fund for the Church to administer to its needs. Nwakaudu is Special Assistant to Rivers State Governor on Electronic Media.